Data analytics and anonymisation firm Trūata recently announced the appointment of Aoife Sexton as its Chief Privacy Officer. Aoife joins from the law firm Tech Law Services, where she has been the Principal for the past six years advising technology clients within the areas of data protection, commercial contracts, and IP. Aoife also co-founded and has been a Director at Frontier Privacy, an innovative consultancy firm offering a full range of data protection services assisting companies to become GDPR ready. 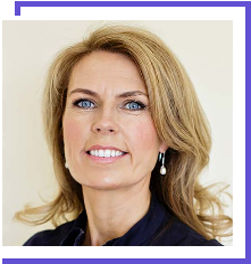 Aoife’s previous experience includes heading up the IP/IT department of a large Dublin commercial law firm and being the President and General Counsel of an Irish technology company. Her appointment at Trūata marks an important milestone in the growth of Europe’s first data analytics firm held via a trust structure and designed specifically with the new data protection law – the General Data Protection Regulation (GDPR) – in mind.